Slots Heaven Casino is an online casino that is owned and operated by Mansion Group Casinos. The casino is registered in Gibraltar and with the UK Gambling Commission. Slots Heaven has a sister casino, called Casino.com. Play your favourite casino games at Slots Heaven Casino. Get divine casino offers, free spins, and monthly bonuses. Play over hundreds of games from great software developers, such as: Playtech and Ash Gaming. New players at Slots Heaven Casino are eligible to receive a super 100% bonus up to £/$/€100 + 200 Free Spins* on the Age of the Gods Slot. The minimum deposit starts from £/$/€20. *Players will receive 40 Free Spins automatically after your first deposit, and thereafter 20 Free Spins per day for 8 consecutive days. 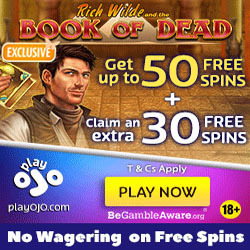 All Free Spins are given on the Age of the Gods Slot. Note: ONLY deposits made using the following deposit methods will qualify for the Welcome bonus and free spins mentioned above: Card (Credit or Debit), Bank Transfer, Banking Methods, Boku or PayPal. Please note that players must be at least 18 years old to sign up for an account. Click here for a list of the full terms and conditions. 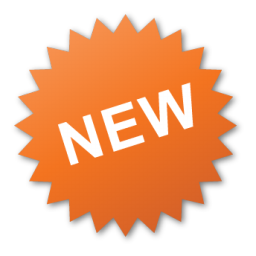 The Welcome bonus carries a 40x wagering requirement. 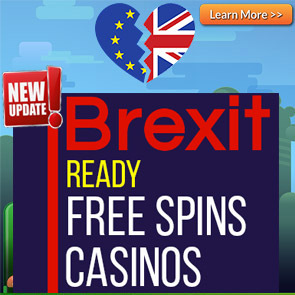 Free Spins winnings carry a wagering requirement of 20 times, and the maximum is capped at £/$/€100. Players depositing from the UK using Neteller are not eligible to receive a First Deposit Bonus. The deposit options at Slots Heaven Casino are: Neteller, PayPal, Paysafecard, EcoPayz, EasyEFT, Visa Delta, Visa Electron, instaDebit, iDebit, Laser, Maestro, Solo, Switch, Visa, Entropay, 4B, Euro6000, Skrill, Boku, Citadel Internet Bank, and WebMoney. You can deposit using the following currencies: GBP, HKD, NOK, EUR, NZD, DKK, USD, SEK, ZAR, JPY, AUD, CAD, and CHF. Kyrgyzstan, Cambodia, Tajikistan, Ethiopia, Bolivia, Nicaragua, Turkmenistan, Liberia, Guinea Bissau, Guatemala, Uganda, Pakistan, Ecuador, Sierra Leone, Burundi, Vanuatu, West Bank (Palestinian Territory, Occupied territory), Egypt, Gaza Strip, Congo, the Democratic Republic, Sudan, Central African Rep, Eritrea, Myanmar, Lao People’s Democratic Republic, Venezuela, Libya, South Sudan, Bosnia-Herzegovina, Haiti, Somalia, Syria, Yemen, Iraq, Afghanistan, North Korea, Australia, Colombia, Singapore, China, India, Romania, Israel, France, Libya, Estonia, Cyprus, Bulgaria, Belgium, Turkey, Portugal, Macau, Philippines, Slovenia, Hong Kong, Spain, Ireland, Czech Republic, Poland, Slovakia, Ukraine, and the United States of America. For any queries, contact customer care via Email, or Telephone.